From the time of King John (1166 — 1216) there has been an estate at Crofton. 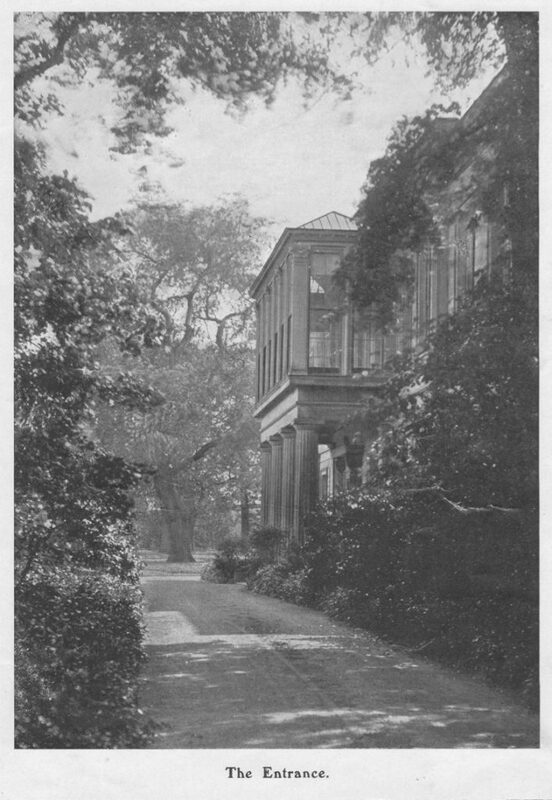 In its heyday the estate featured Crofton Hall itself with adjacent stable block, walled garden, formal gardens and subterranean icehouse, Coachman’s house, stone entrance archway with gatehouses, deer park and lake; not to mention several estate farms and other houses. The Manor of Crofton was held by the ‘de Crofton’ family in 13th and 14th centuries, passing by marriage of Margaret Crofton to Isold Brisco in late 14th century to the Brisco family, in which it descended until sold in 1908, finally being demolished c.1958. Portions of the house and estate dated from 1665, with later additions and modifications in the 1820’s. 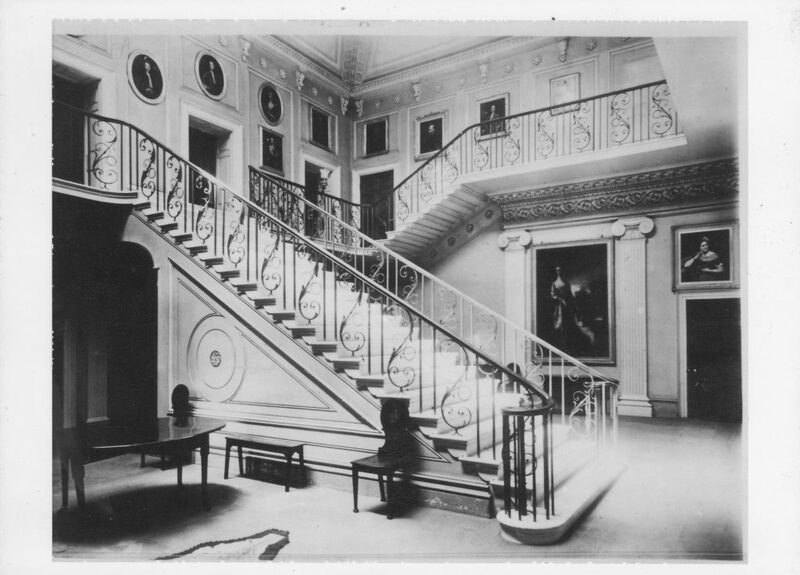 The Brisco family were wealthy, mostly living in grand houses with many servants. One of the Ladies Brisco was even painted by Gainsborough! Crofton Hall itself fell into disuse around the turn of the 19th century, the rest of the estate still bears testimony to the history that unfolded there. Many of the buildings you will use in your stay with us are part of the estate. 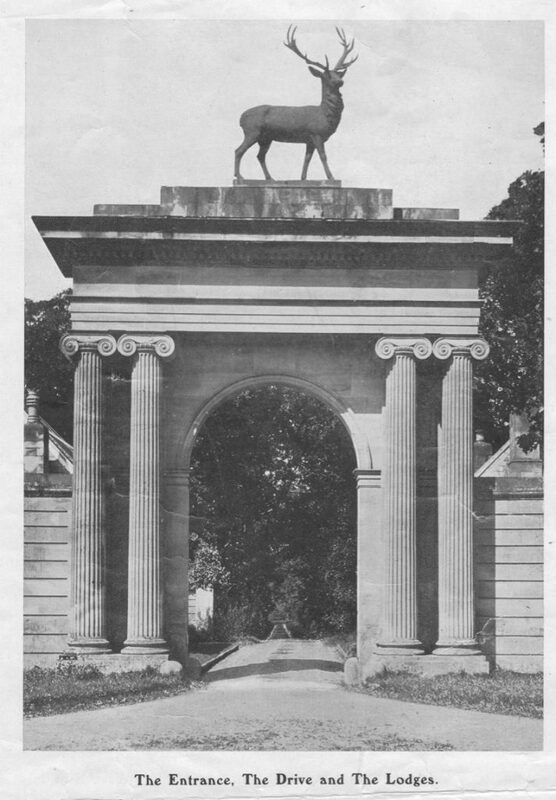 The Estate Arch, still in place, but without the Stag! The Main Entrance, from an oval access drive. 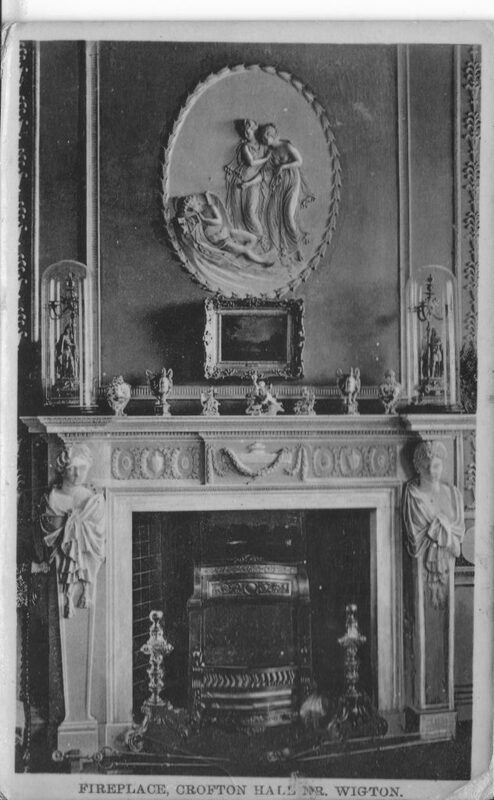 Surviving postcards and pictures of the interior show the Italian plasterwork and marble fireplaces – quite something! 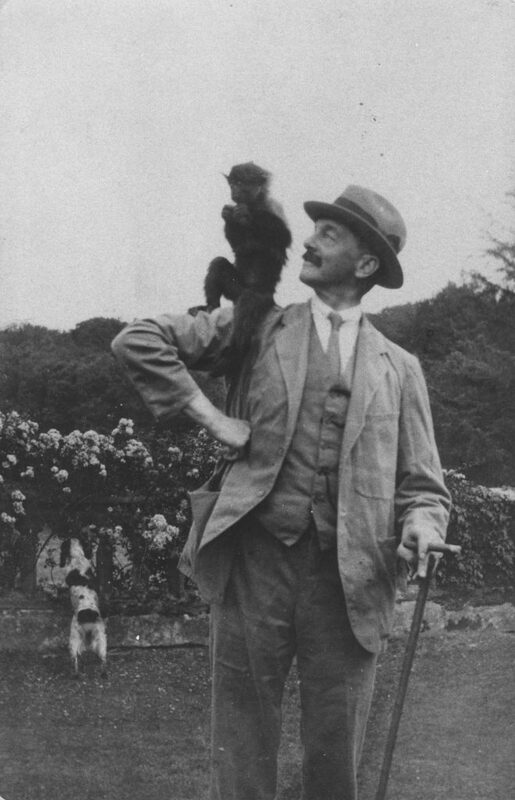 A pet monkey? Why not! On January 13th 1936 The Times recorded the sale of Crofton Hall to the Land Settlement Association for small holdings to be established for unemployed men in Cumberland. It was the end of 500 years of occupation by the Brisco(e) and Crofton family spanning 1390 to 1936.